Rise Of Hell is a side scrolling zombie beat-em-up game with vehicle portions where you drive vehicles that have weapons on them. There will be multiple endings and routes for you to take throughout the game meaning a high replay value. I am currently working on this game and will be uploading photos of my work from time to time. Punching. It's always fun to punch zombies in the FACE! 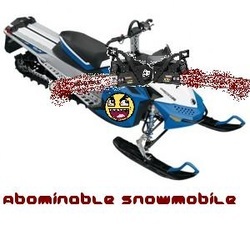 An early concept for the Abominable Snowmobile, a snowmobile with chainsaws on it. This will be a vehicle in the game. So that's about it, stay tuned for more updates and stuff.